What grim treasures lurk in our canals’ depths? A national survey to record all the weird and wonderful items people throw into their local waterway has uncovered some bizarre objects in the Leeds and Liverpool Canal. From a 16ft dead python and numerous opened safes - one of which was found on the bed of the canal at Wigan – discarded rubbish is a major nuisance to the Canal and River Trust. Over the past five years the charity, which cares for more than 226 miles of waterways in the North West, has hauled out thousands of plastic bags, glass bottles and shopping trolleys. 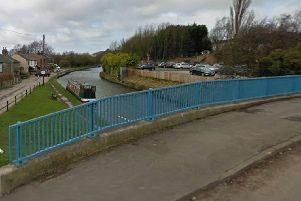 It costs the charity about £1m each year to clear the dumped rubbish, funds that could be spent on improving wildlife habitats and ensuring the waterways are navigable for boaters. However, this is just the tip of the iceberg in terms of volume of rubbish. It often can’t recover every item which means it lies on the bottom of the canal bed out of sight and mind to many passers-by, causing problems to boaters and wildlife. This winter, as part of its major £45m restoration and repairs programme, the charity conducted a four-month survey to record the rubbish removed from the canals and to reveal what lurks beneath the waterline. Every year thousands of plastic bags and fizzy drink cans are thrown into the waterways but just one of those cans can take up to 200 years to biodegrade and a supermarket plastic bag up to 20 years. The rubbish is not only an eyesore but has a real environmental effect on the waterways. Tyres and other rubbish contain pollutants which leak into the water and poison fish and other wildlife. Often rubbish acts as a choking hazard and wildlife can become trapped amongst the litter. As the charity is calling for people to refrain from littering their canals or rivers. And anyone interested in lending a hand can join the trust’s Towpath Taskforce for weeding and litter clearance. Visit www.canalrivertrust.org.uk/towpathtaskforce for details.